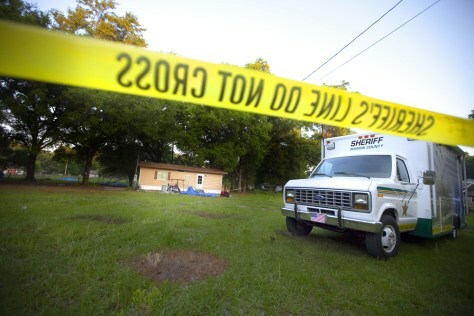 This is the Summerfield, Fla. home where authorities say Seath Tyler Jackson, 15, was killed. Jackson was allegedly lured to the central Florida home Sunday night, where he was fatally beaten and shot by a group before his body was burned in a fire pit. Investigators have arrested six people, ranging in age from 15 to 37.